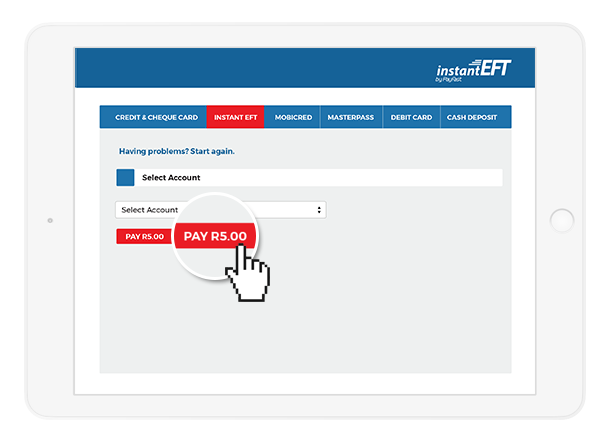 Instant EFT by PayFast makes inter-bank online payments quick and convenient. Immediate verification and notification of payments means no two day wait and no need for customers to send in proof of payments. Trust the market leader with your online payments. Customers have the option to have the payment created automatically or to load the payment themselves through their preferred banking portal. 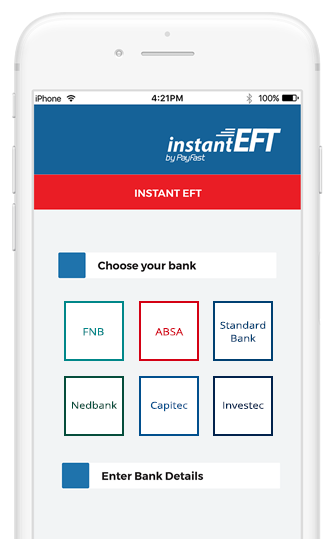 Instant EFT is supported by Absa, Capitec Bank, FNB, Investec, Nedbank and Standard Bank. Instant EFT attracts a loyal and well-established user base. Instant EFT is also powered by PayFast, a PCI DSS Level 1 Service Provider. 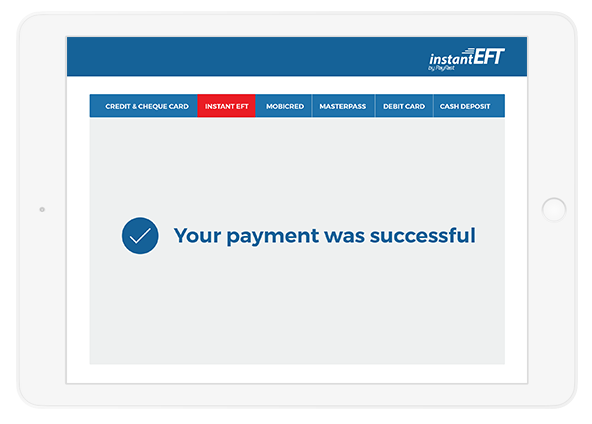 Instant EFT payments can be made on any browser and most smart mobile devices. No need to install special software. Customers select their bank and enter their internet banking login details. Next, customers choose the bank account from which the payment should be made and click the pay button. Customers then confirm their payment with their bank to complete the transaction. The payment is complete. The transaction will show in your PayFast account and the customer will be notified of the successful payment. 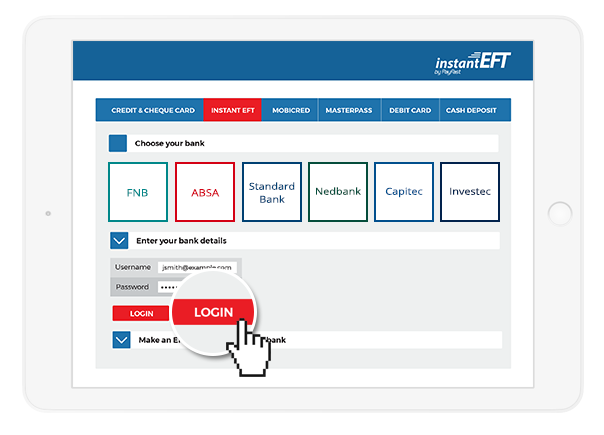 To start accepting Instant EFT payments on your website, simply register a PayFast account. Signing up is free, plus with PayFast you don’t pay any set up or monthly fees. 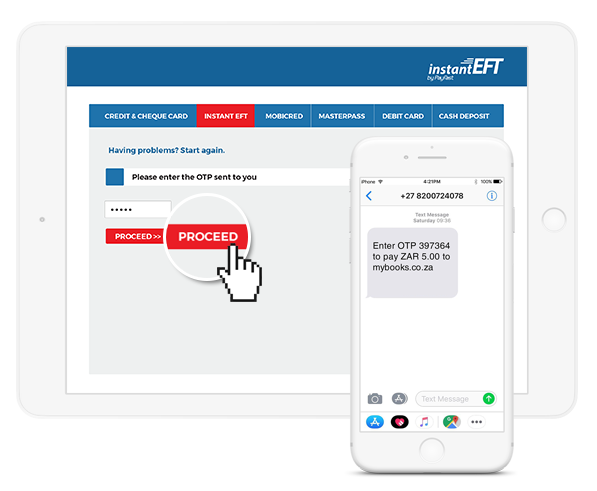 In addition to Instant EFT payments, your PayFast account allows you to accept a range of payment methods, such as credit cards, Masterpass, debit cards, mobicred and Bitcoin. Activate these payment methods to reach even more customers and increase sales. Because PayFast is compatible with over 70 shopping cart platforms, integration into your website is quick and easy. Our support team is happy to help you with your integration queries.